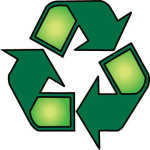 A renewed effort to promote recycling in Mississippi County is about to swing into action. The Arkansas State Highway and Transportation Department is looking to purchase a small portion of land in Manila from the Mississippi County Farm Bureau to be used for the Highway 18 expansion project. The Greater Blytheville Area Chamber of Commerce has begun the process of bringing a Crime Stoppers program to Blytheville. The Charlevoix DAR group is working with the City of Blytheville to implement its Restore the Grove program which will allow trees to grow naturally in Walker Park with little to no interference. In less than two weeks, the 1-cent IRS tax falls off, and the total tax rate dips to 9.75 percent.